Soundwave Entertainment® is a DJ & LED Lighting Design company serving Orlando. Since 2001, Soundwave has provided DJ music and LED lighting for more than 4,000 weddings and 1000s of corporate events. We also offer Photo Booths and Guitarist. Soundwave is owned and managed by Les and Wendy Kopasz. They have been operating in Orlando since 2001, and previously in Buffalo, NY. 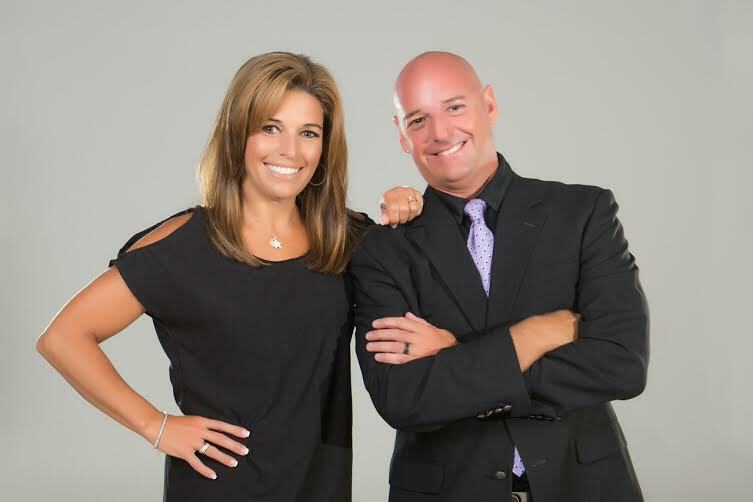 Les and Wendy are a dynamic husband and wife team and well-known in the Orlando entertainment industry. Soundwave’s incredible DJ team is led by Owner Les Kopasz who has been dee jaying since his early teens. Les Kopasz has worked major nightclubs in Buffalo and Niagara Falls, spun live to air in Buffalo on the hit radio station KISS 98.5, and been part of more than 2,000 weddings and 1000s of corporate/convention events since moving to Orlando in 2001. Soundwave has an amazing DJ team that consists of Manager DJ Justin Coulter, aka DJ Colt, DJ Danny Kasler, DJ Vinny Juliao, DJ David Reguiero and our Latin DJ / MC Ray Vales. Each of our jocks has previous night club experience, are highly skilled music mixers, not button pushers, and exceptional emcees on the microphone. Although Soundwave began as a DJ company, in 2005 the company began offering LED Lighting and since that time, they have becoome one of Orlando’s most trusted companies for state-of-art LED lighting products and ability to create amazing lighting designs. Soundwave LED Lighting includes Wall Uplighting, Monogram in Lights, Pinspotting for floral and cakes, Spotlighting and Special Effects. Soundwave loves working with clients to develop custom lighting designs. In an effort to always keep expanding and staying up to date, in 2015 Soundwave owners’ Les and Wendy added a fabulous Guitarist to our team. In 2017 we began offering Photo Booth services. When the owners, Les and Wendy Kopasz, are taking a break and recharging their batteries, you can find them boating on inland lakes, and they love to to take lengthy trips to Clearwater and the Florida Keys where they love to fish and enjoy the salt life aboard their beloved boat “Nauti Beats.” Their son Dylan Kopasz is a familar face at weddings and corporate events.